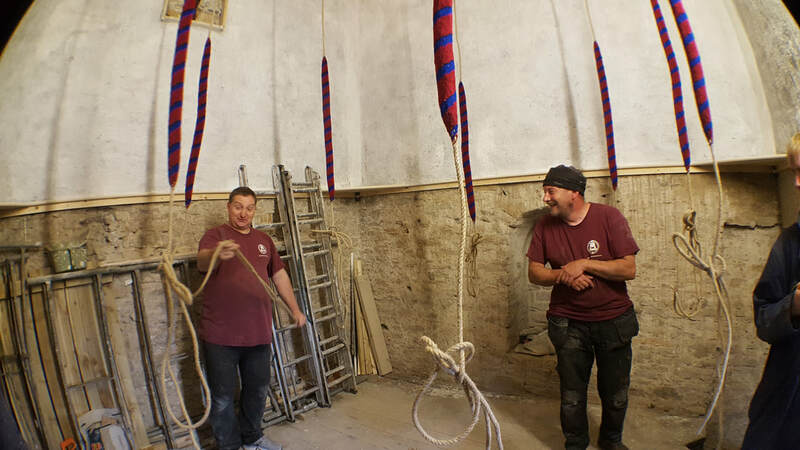 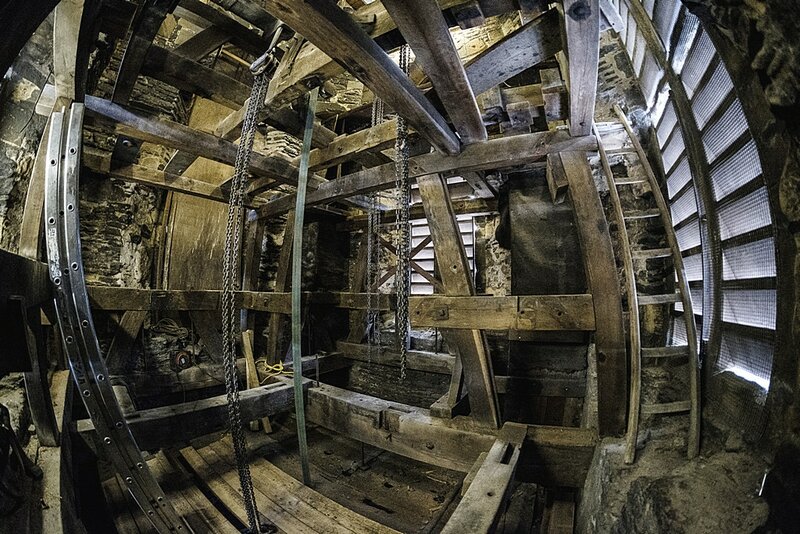 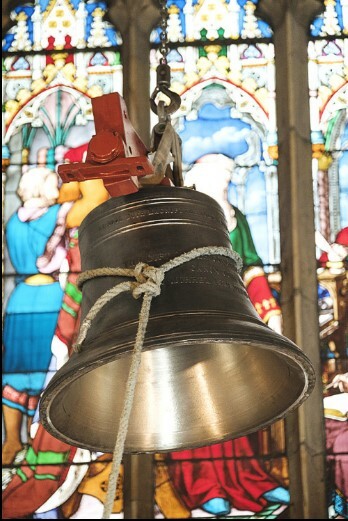 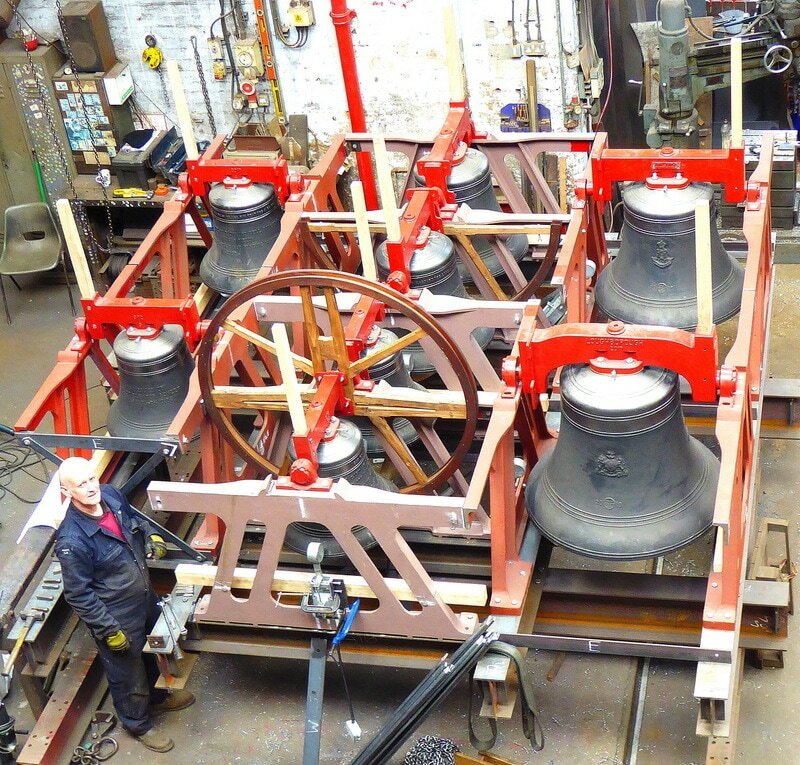 Our two-tier oak bell frame was unstable due to water damage which was making ringing the bells increasingly difficult . 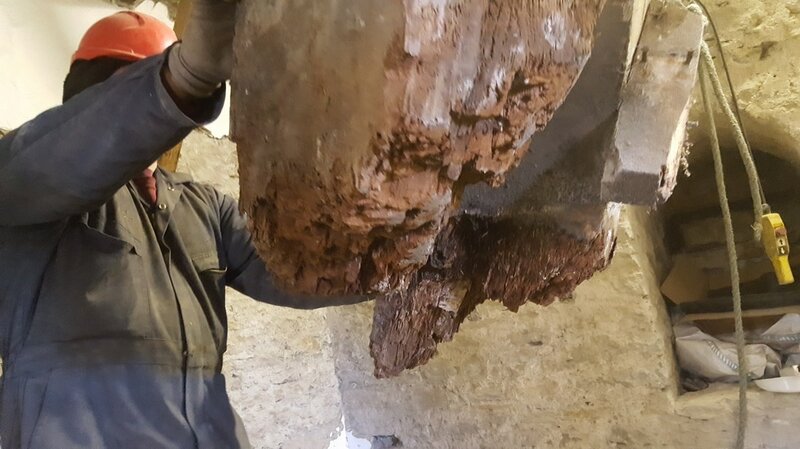 Replacement was recommended 90 years ago! 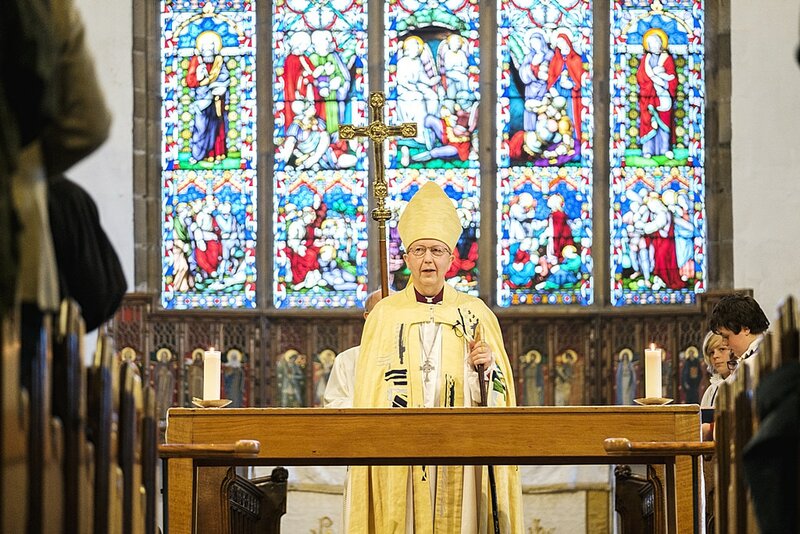 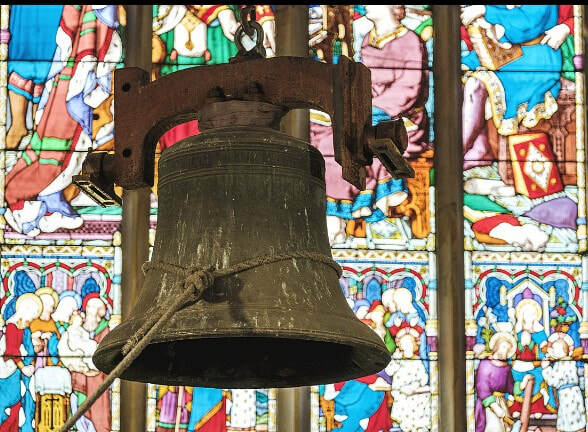 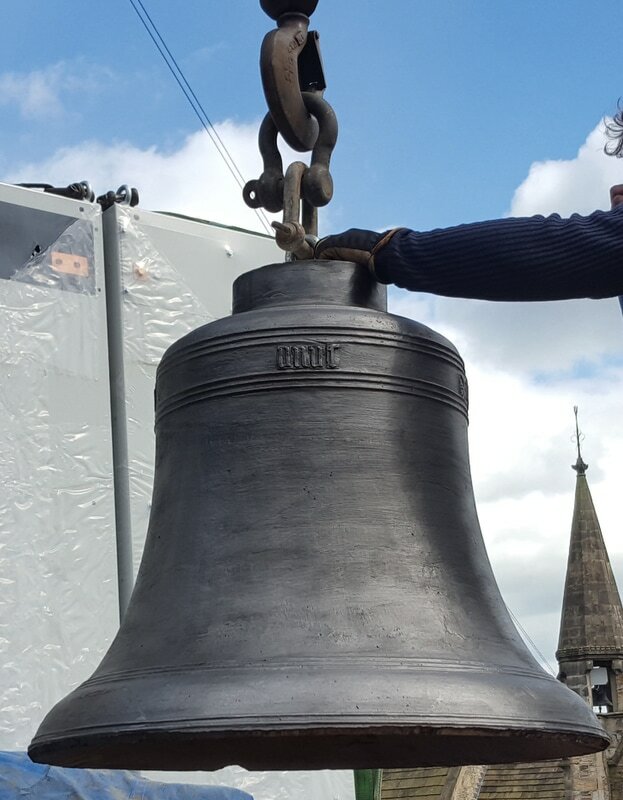 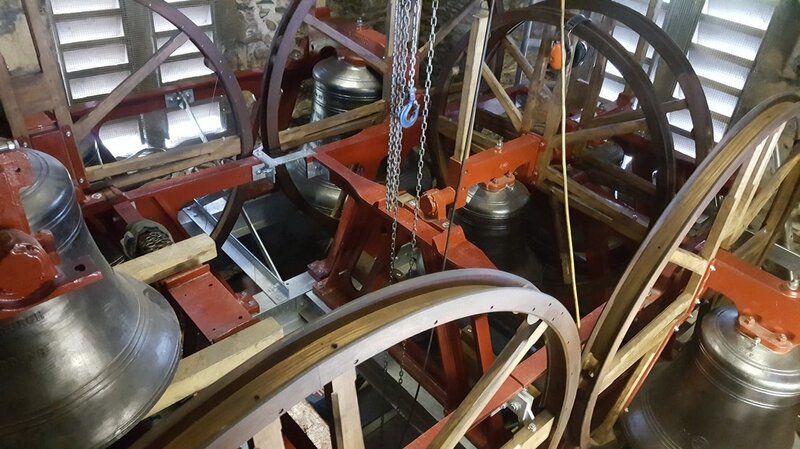 After a two year appeal enough money was raised for a replacement frame and to replace the eclectic mix of old bells with a new tuned set of bells and install variable sound control. 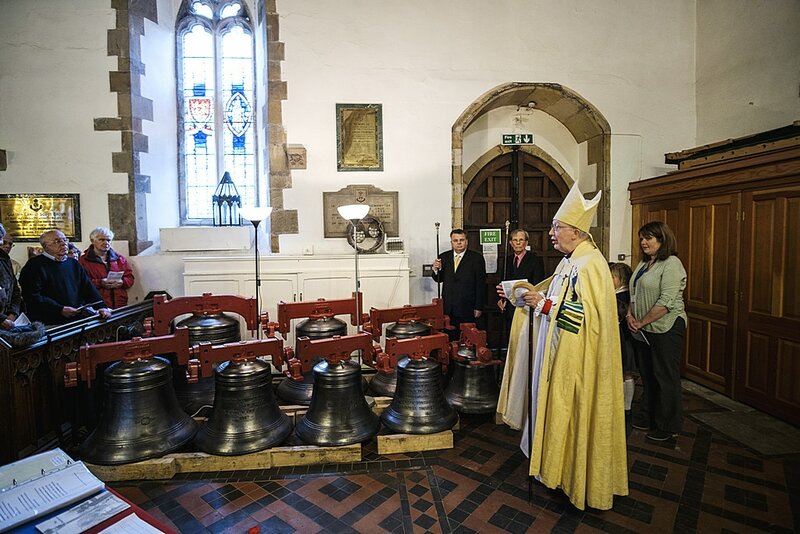 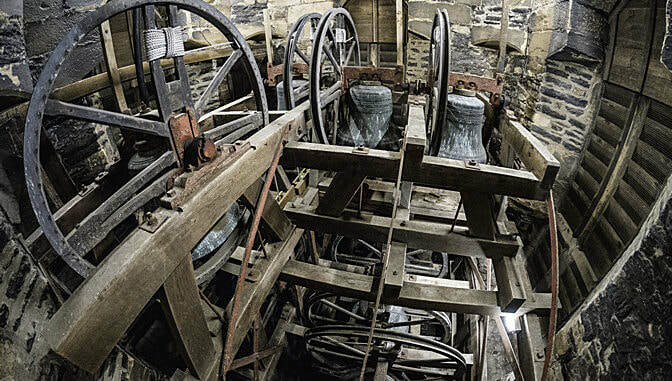 Our five bells of historic interest are displayed for all to enjoy. 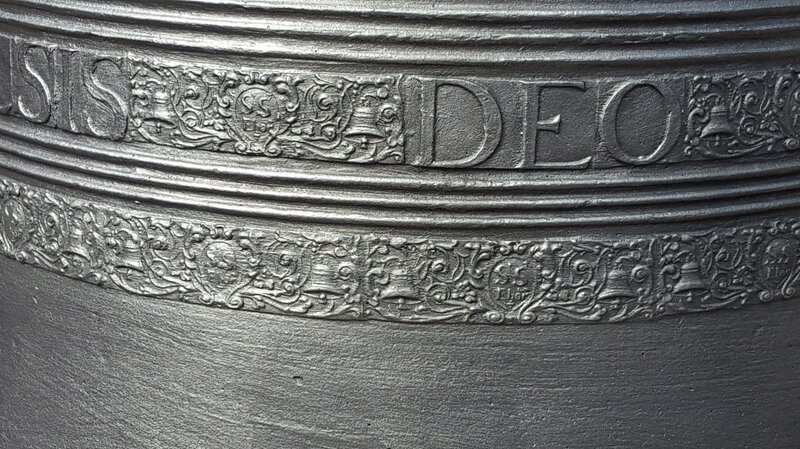 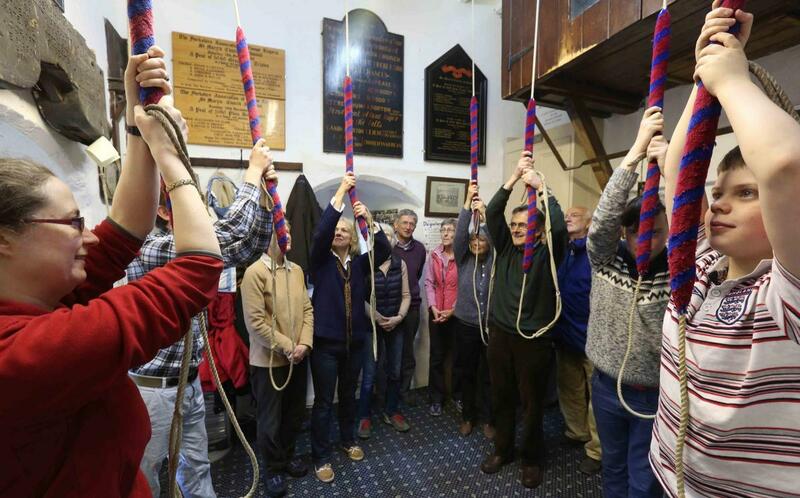 A Heritage Lottery Grant allowed us to research the history of bells, bell ringing and bell ringers in Richmond over the past 500 years. 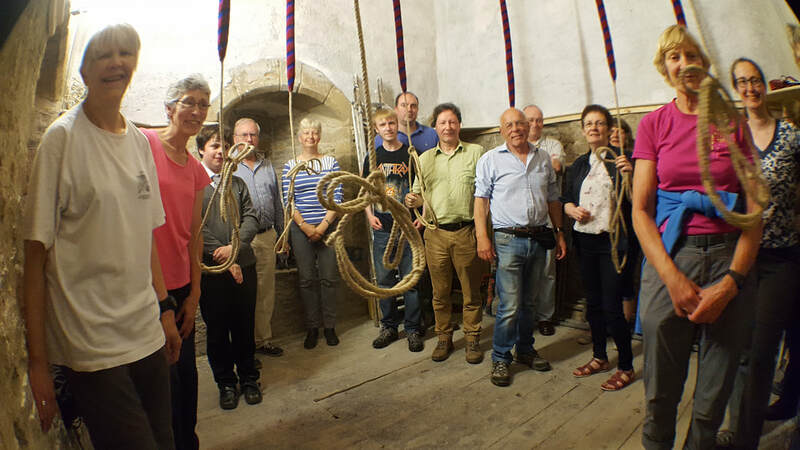 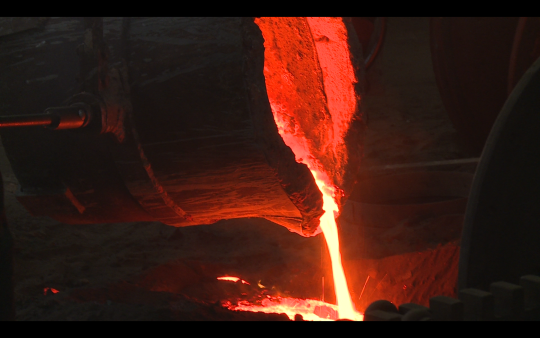 For more details of the work and the funded workshops click here. 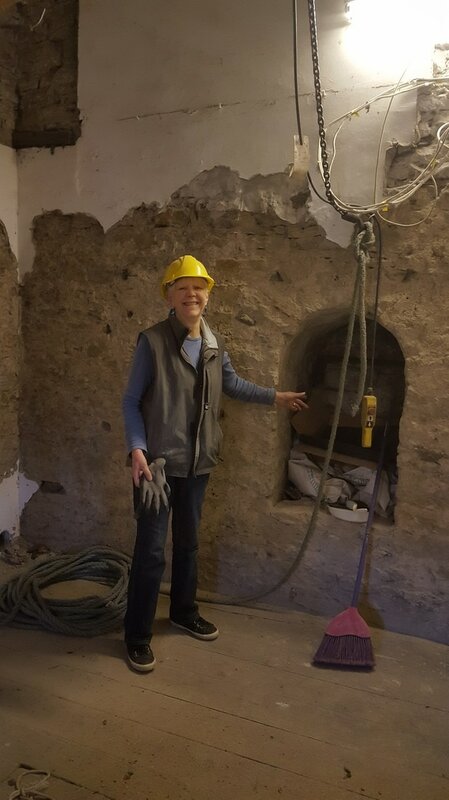 Jennifer showing our rediscovered alcove under the plaster. 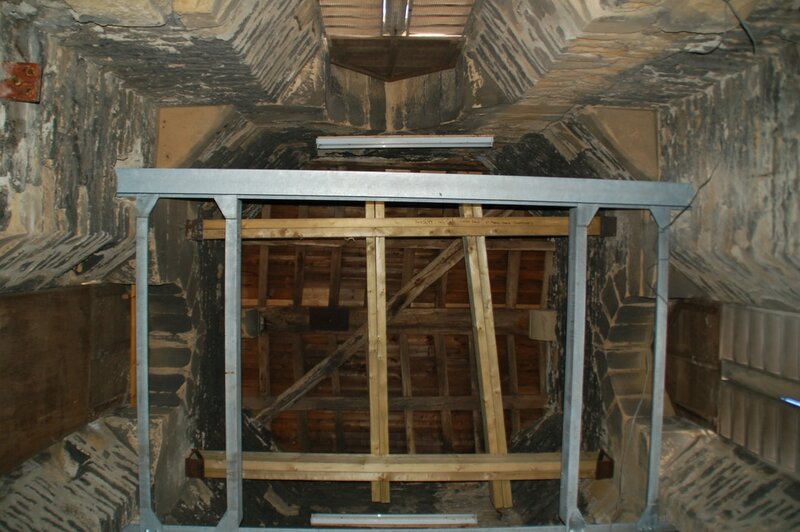 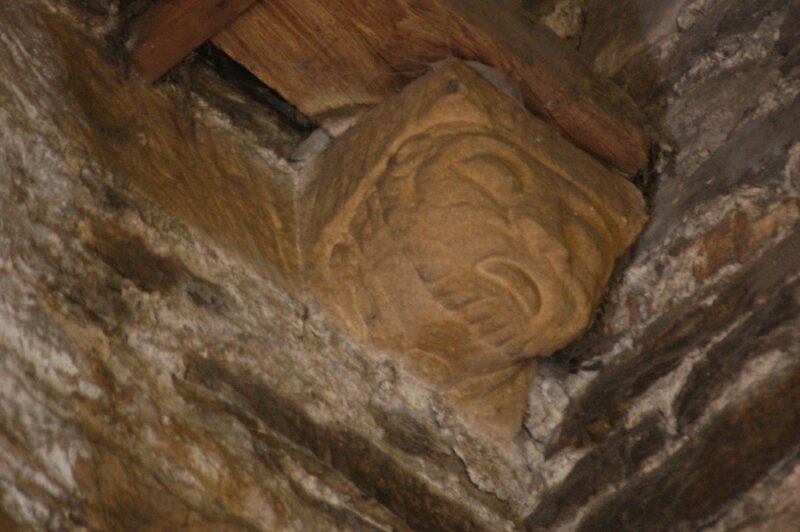 This would have originally led onto the pre-Gilbert Scott- restoration roof. 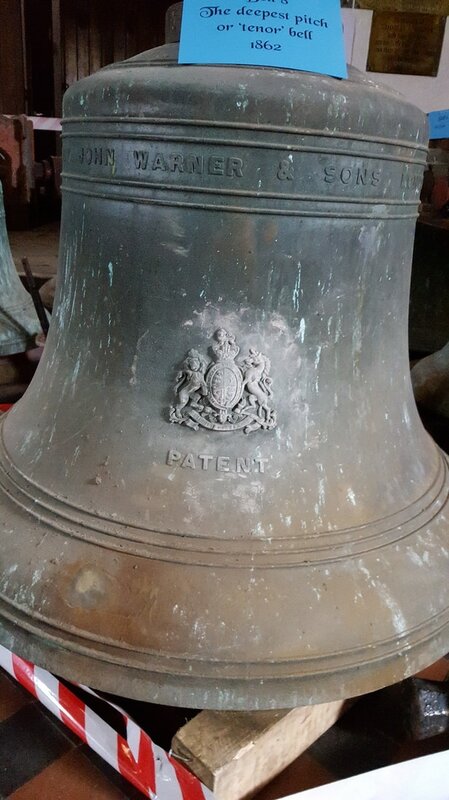 The 1862 Warner tenor which has found a new home in Chemmalammatom South India Southern India. 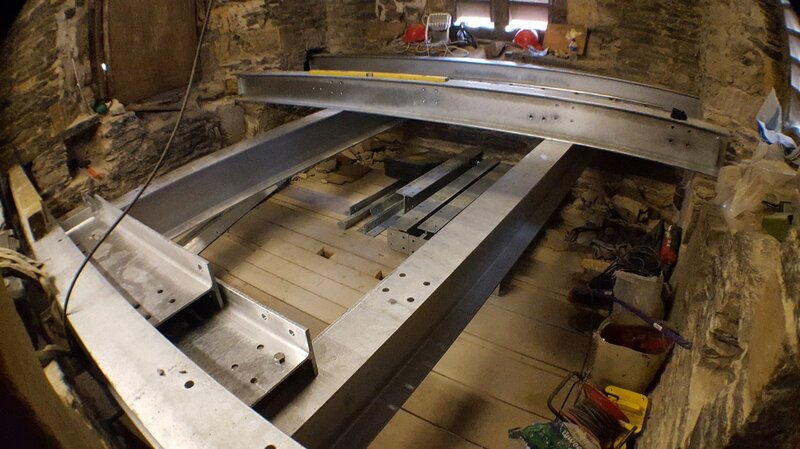 The rotten main base beam - destined to fail perhaps with disastrous results. 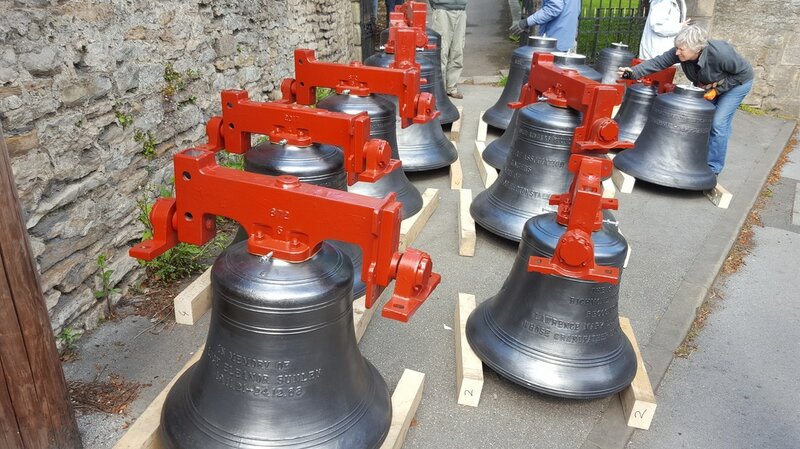 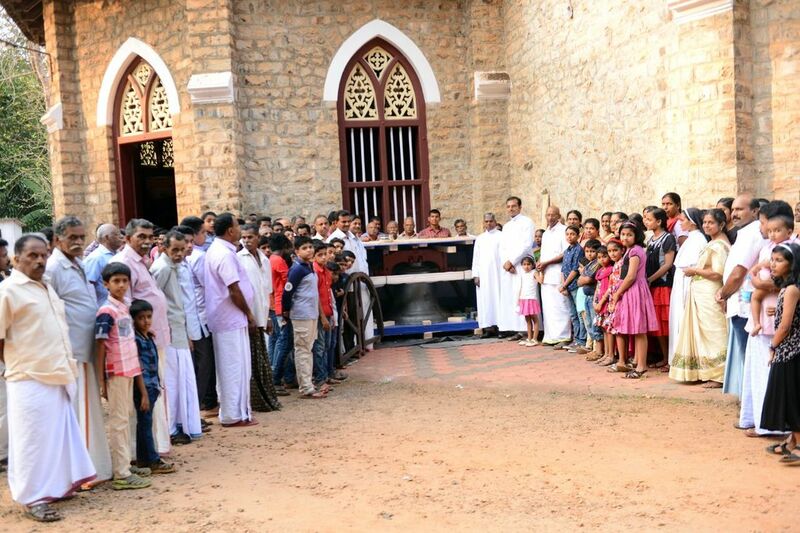 The welcome reception for the Richmond 1862 Warner bell on its arrival in Chemmalamattom in May 2018. 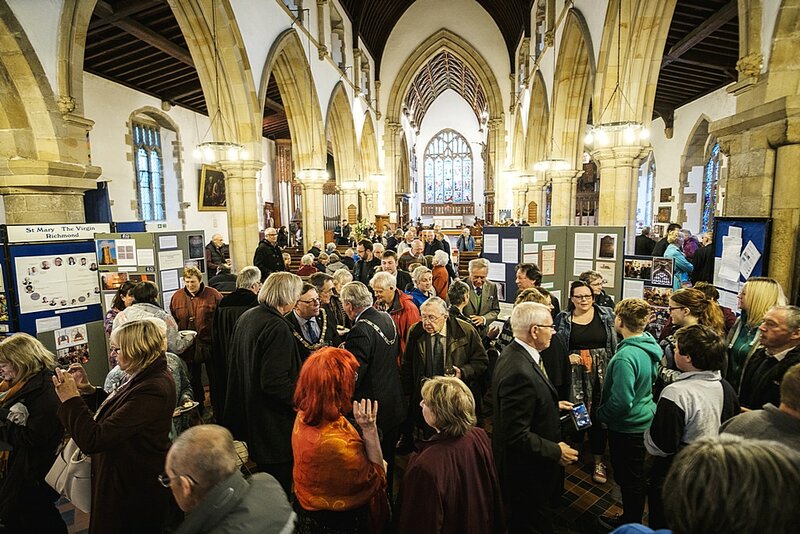 Transport costs were paid by the people of Richmond.